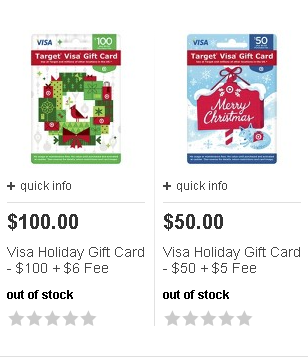 Now that shipping cost is free, there is nothing for me to stop purchasing Target Visa GC. 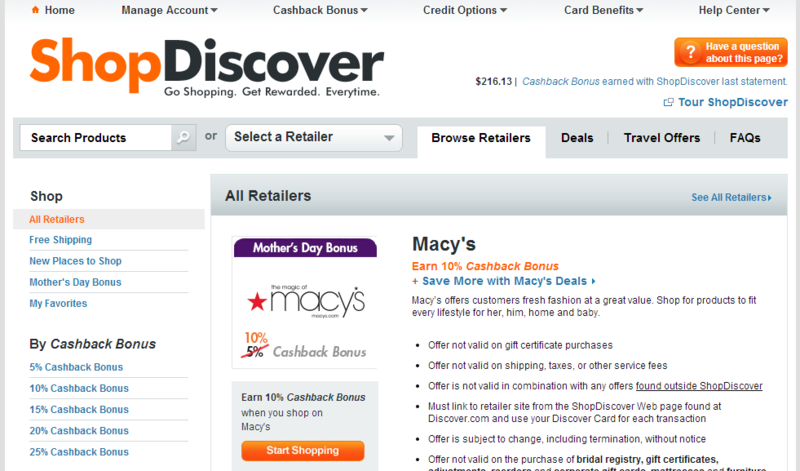 I used “Discover it” card, and most importantly I entered Target.com through ShopDiscover. I received thanks-for-your-order email, and there is no cancellation email (please read the posts: Target Visa Gift Card and ShopDiscover 1&2). 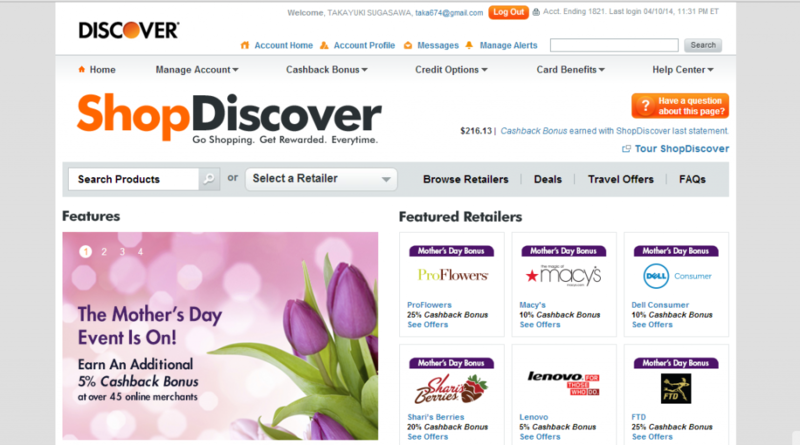 The next day, I received an email from ShopDiscover. The card arrived a week later. 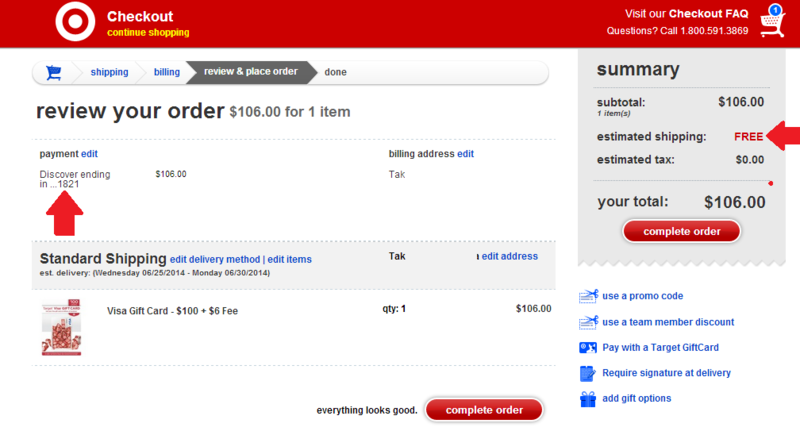 It proved that Target kept cancelling my orders because I used Target GCs as a payment method. I don’t know why they accepted the first order (I used Target GCs for the purchase of Target Visa GC.) Anyway, I won’t do that again. It is not comfortable to receive an email of cancellation right after a check-out. 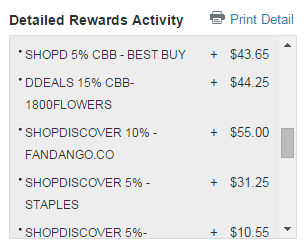 This isn’t a lot, but I always redeem Discover’s reward for 20% discounted gift cards, so $6.36 will be worth $7.95 for me. I get $1.95 profit. 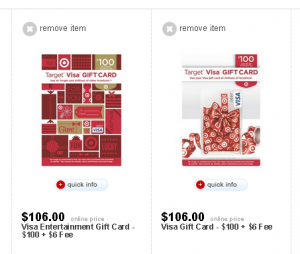 Target accepts Visa, MasterCard, Discover, American Express, and PayPal. You can convert AmEx GCs into $100 Target Visa GCs for 70¢ per card. AmEx GCs have fewer features than Visa GCs. They don’t have PINs so you can’t get cash back at registers. Once you get Visa GCs, you can load BlueBird/Serve at Walmart and get cash back at registers depending on the stores. Visa GCs are easier to be converted into cash than AmEx GCs. 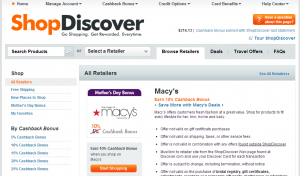 As I mentioned in the earlier posts, it is a great money maker when it is on 4th quarter of Discover’s promotion (rotating category: online shopping). 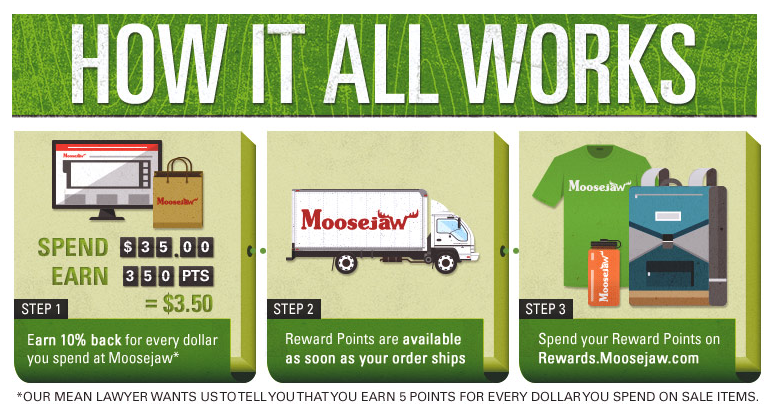 And if ShopDiscover’s seasonal promotions give additional 5% cash back on purchases at Target.com, that would be so great. 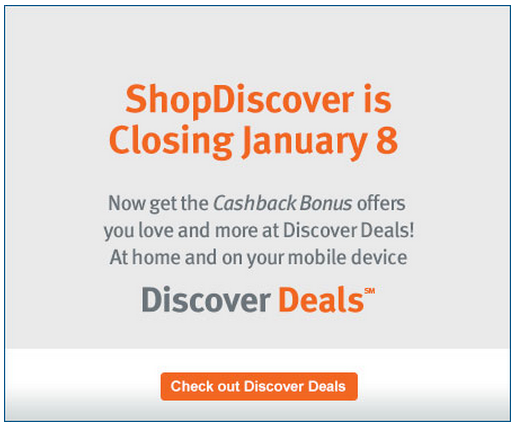 Because cash back from ShopDiscover is unlimited, while cash back from rotating categories are capped at $1500 of purchases. And if this happens in 4th quarter, you will get total 15% cash back!!! However, I’m not sure that the cash back rate of Target.com is raised up by 5% in the past. I have never paid attention to it. I will need to keep an eye on the cash back rate of Target.com. 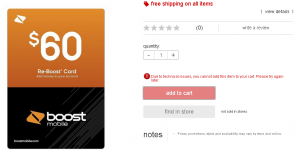 Please note that it seems that Walmart kiosk no longer accepts Target Visa GCs for reloading BlueBird/Serve, read this post for the details. Maybe my account is blocked. I had the same experience on Sears purchases. I ordered and checked out something at Sears.com. They cancelled my orders right after sending thank-you-for-your-order emails. My Sears account was blocked becasue I used SYW Max program, which is free shipping on almost all items for $79 a year, for my eBay business. I dropshipped tons of items to customers on eBay for more than 6 months. Sears detected and blocked my account. But. what I bought at Target.com is only $100 gift card. I don’t think it is a big problem. The first purchase is 2 weeks ago. 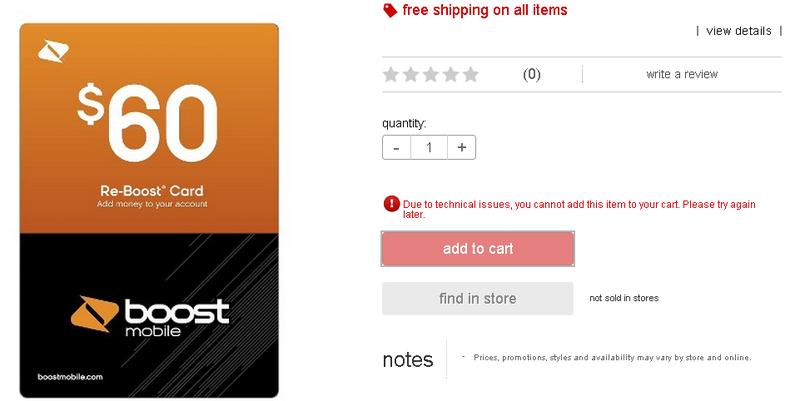 Again, it is only one $100 gift card I bought. The details on the page of Target Visa GC says “Limit on number of cards purchased.” It can’t be you can buy only one gift card a month. The emails telling me that the order was cancelled is exactly one minute after a check-out. It seems to be automated. 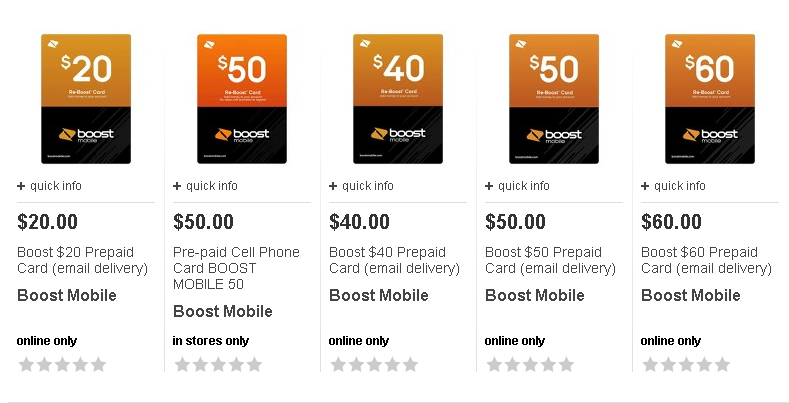 They don’t want to give cash back on the purchase of gift cards, so maybe they set to cancel the orders checked out through ShopDiscover. This may be the cause of cancellation. To find the answer, I made another attempt. 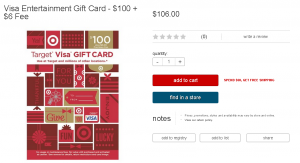 I clicked a link on Coupay.com and checked out (1) $100 Target Visa GC with Target GCs. It wouldn’t go through. Just like previous two orders, I received a confirmation email and then cancellation email. This time, however, things got worse. The refund are almost instanly come back to my gift cards on previous orders, but it didn’t on this order. What’s more, I couldn’t see the balance of gift cards, either. 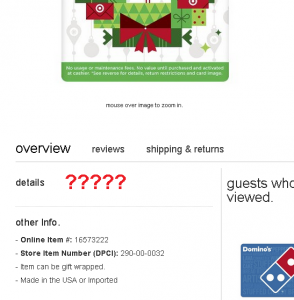 There was an error message when I tried to check the balance of gift cards. 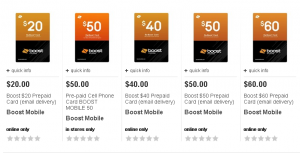 The next day, it was available to get access to the balance of gift cards and I confirmed money was refunded. The series of incident scares me. I will no longer try to buy Visa GCs with Target GCs. The reason of cancellations hasn’t been clear yet, but I don’t want to risk losing money of Target GCs. 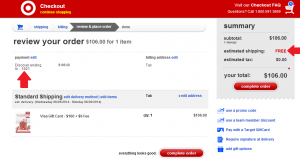 Updated in June, 2014, Target introduced new shipping policy. 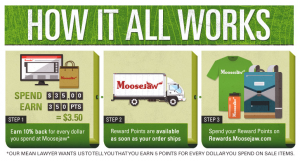 All orders of $50 or more are eligible free shipping. With this new offer, I finally purchased Target Visa Gift Card with a credit card.